Do you have a conference to plan in Manchester? 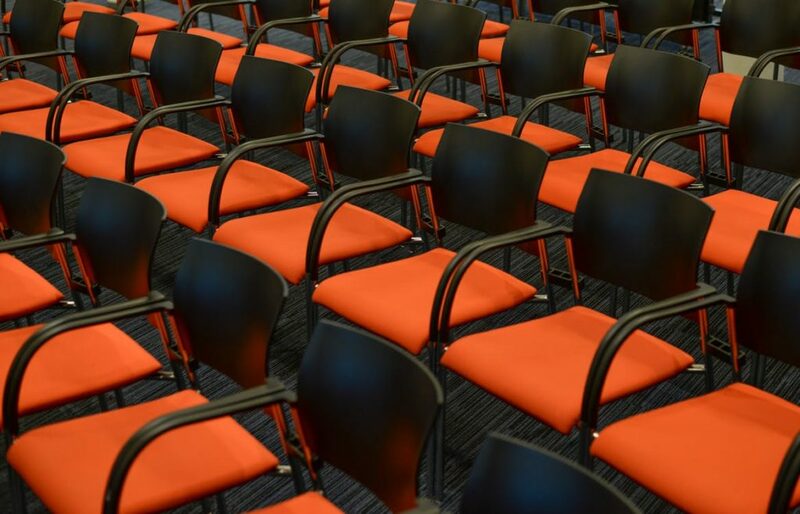 Below you can find a list of five great conference venues in Manchester. Each venue is operated by professionals who have a huge knowledge of the industry as a whole. Known for its concerts, The Bridgewater Hall is a luxurious space and a home to some of the best rooms for events and conferences. The Auditorium itself holds over 1800 people and can be hired for events (concerts, presentations, conferences, etc.) It also has foyer areas, breakout spaces, and areas for a reception. Due to its size, the Auditorium is aimed for large events. The Bridgewater Hall also has a range of smaller rooms capable of seating up to 250 people. These are perfect for your smaller scale conferences and other meetings. Not only that, but there are in-house bars and a catering team that offer buffets and other forms of food. The award-winning, multi-purpose venue, Emirates Old Trafford, is home to some of the best conferences, meetings and dinners. The venue has 43 meeting rooms and can seat a max of 1200 people. It can also cater as little as 10 people and as many as 2000 across multiple events. If you plan on having a conference here, it will be supported by the in-house services which include event planners, duty managers and even IT support! What is a better place than a 3-time winner of the best UK unique venue? The Monastery is a stunning venue that has previously been restored for steep cost of £6.5 million! It is home to a range of events including conferences, weddings, and exhibitions that can seat up to 650 people. All of this is put together and managed by the exclusive event management and catering service. To top it all off, all profits from any event held at the Monastery are donated to the Charitable Trust. The Studio is one of the smaller venues in Manchester seating a max of 250 people. However, the vibrant space has 11 rooms that can accommodate 2 – 220 people. It also has HDMI projection, a sound system, WIFI and an Apple TV in each room. The Studio team are known for giving the best service and pulling all of the stops to provide the best event possible. Each event is located around a breakout zone that is available to guests and offers unlimited tea, coffee, and snacks. From the name, you can tell that this centre aims to provide a space for conferences. The Kings House Conference Centre is actually one of the leading conference venues in Manchester. It is home to a variety of rooms and can seat a max of 600 people. If you are planning a banquet layout, it will only house 350 people, but for the theatre style, the max of 600 will be possible. There are also other rooms available for smaller conferences and meetings. All rooms will come with projectors and screens. Overall, these are just 5 of the many venues available for conferences in Manchester. Each has their own positives and benefits, but it all comes down to what suits your needs. Hopefully this list will push you in the right direction and help you choose the right venue.